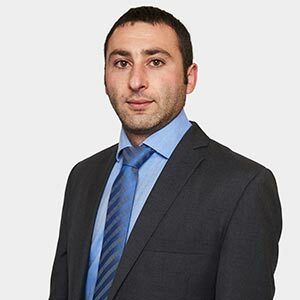 Sezgin began his training contract at an established High Street firm in North London where he received training in residential and commercial Conveyancing, Landlord and Tenant matters, personal injury, immigration law, family law, civil litigation and criminal law. Sezgin has continued to develop his professional career by gaining experience in Housing and consumer Law and is a qualified solicitor. Sezgin is also a Duty Solicitor and he represents suspects at the police station and both the Youth Court and the Magistrates’ Court. Before pursuing a career in law, Sezgin graduated from London Metropolitan University with LLB Honours. Sezgin has been involved in serious cases both at the police station and in Court. One of the recent notable cases he has dealt with is the case of R –v- Muhiddin Mire which has been reported globally and initially linked with the act of terrorism in Leytonstone Tube Station in December 2015 whereby the defendant was charged with attempted murder due to attempting to slit the victim’s throat. Issues in the case were terrorism, grievous bodily harm, attempted murder and mental health. Another notable case in February 2015, R -v- Sapphire Huggins linked with attempted murder whereby the defendant was charged with attempted murder due to stabbing the victim on 7 occasions. The issues in the case were grievous bodily harm and attempted murder. The case was successfully defended to allow a reduced charge of grievous bodily harm. Sezgin is fluent in two languages: English and Turkish.